Have you made your nominations for the NZSL In Action Awards yet?! We are still accepting nominations until Monday 31st March at 5:00pm.The winners will be announced during NZSL Week at the NZSL In Action Awards Gala Dinner on Saturday 17th May. We have ten categories to choose from this year, including two new ones! Recognises the Healthcare Provider or Professional who has shown commitment to NZSL users and in working to provide access to full communication for Deaf clients. Recognises a pre-school/school that can show their commitment to NZSL by promoting NZSL within their curriculum. Recognises a young (14-24 years) deaf or hearing impaired leader who motivates others, has overcome significant challenges and is a strong advocate for NZSL. To make your nomination, simply fill out this online form! How do you want to celebrate NZSL Week in your area? 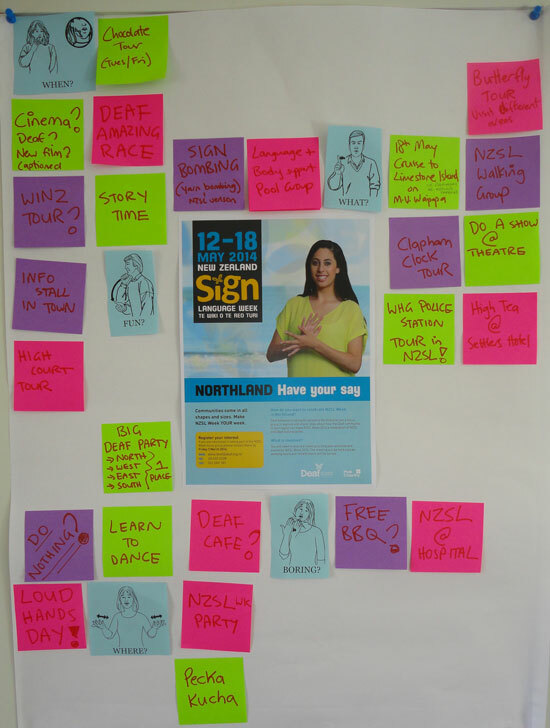 Deaf Aotearoa is inviting people to join focus groups around the country to share ideas about how your region can celebrate NZSL and Deaf culture. So what is a focus group? It very similar to a planning group they help decide what events and activities will happen during NZSL week. Attend a few meeting with your local Community Relations Officer and give feedback on ideas and help brainstorm some ideas. We will even provide some food. Why is Deaf Aotearoa setting up focus groups? Contact your local Community Relations Officer at your local office. What if I don’t know who my Community Relations Office is? Email auckland@deaf.org.nz or text 021 847 729. From this week, we will no longer provide information about Captioned Movies. If you want to receive information about captioned movies, we strongly recommend that you sign up for the Captioning Access New Zealand mailing list. Simply email subscribe@captionmovies.co.nz with your name and email address, and they will add you to their mailing list. There are benefits to joining their mailing list such as being the first to know about captioned movies session times and other news related to captioned movies. We have included information in the past, however due to the timing of the Captioned Access New Zealand announcements we have been unable to include all sessions. If you want to know more about captioned movies, visit our website. Enabling Good Lives is a partnership between the disability sector and government agencies aimed at long term transformation of how disabled people and families are supported to live everyday lives. Watch these videos in NZSL for more information. There are lots of scammers trying to steal your money through email, Facebook, Google+, Twitter, other websites and phone applications. If you have received an email asking you for money and you will receive big money back very soon – DO NOT send any money! Why? You will never get money back. A scam is a dishonest attempt to trap you into giving away your money. A (fake) person emails you to your Facebook, asking you to pay money ($1,300) to them and they will promise to send you a lot of money (eg $50,000) in return – it is fake, it is a scam. An organisation sends you an email asking you to support them by sending money to help poor families and children – it is fake, it is a scam. You receive an email from a lawyer to inform you that your family member has died, and they have left money for you – it is fake, it is a scam. If you are not sure, ask your friend, support person or your local Community Relations Officer to check it out for you. Do you want to see an outstanding disabled artist recognised? Or how about a leader providing access to the arts for people in New Zealand? Nominations to this year’s Arts Access Awards, presented annually by Arts Access Aotearoa, close on Friday 14 March 2014. The Arts Access Awards is the new name for the Big ‘A’ Awards, which were introduced in 2007 to acknowledge the contribution of individuals and organisations in providing access to the arts for everyone in New Zealand. After McLeods Bay follow Reotahi Rd, then Beach Rd to the end and up to the Reotahi carpark, opposite Motukaroro Island and Marsden Point. 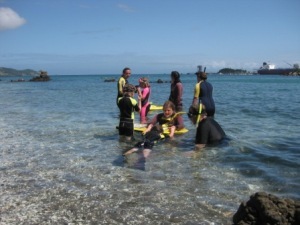 Explore the waters of the Whangarei Harbour Marine Reserve at Reotahi with an experienced snorkel guide. You never know what you might spot. Discover pipefish, triplefins or nudibranchs. Fun for the whole whanau. Register at the event on the day, sea conditions permitting. Bring your own gear or get free hire of our mask, snorkel, fins and wetsuits. Check out the post-its. Do you think the ideas are fun or boring? Got any ideas or events you want to go? All ideas are in my handwriting so you can’t tell who gave that idea. Come to Whangarei office between 6:00pm to 7:00pm on Tuesday 18th March. 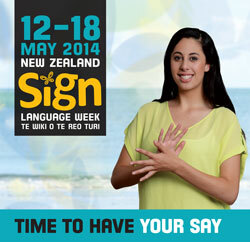 We will decide what events we will have for NZ Sign Language Week. If you are not here, we might not set up the event you want. AUT University Silent Camp: Last Chance! Do you like signing and mixing with other people? If yes, there is an AUT University Silent Camp! Who? The camp is mainly for the AUT students in the BA/Certificate in NZSL and Deaf Studies and BA in NZSL-English Interpreting programmes. Why? Sign language modelling for new and old students, a fun weekend of activities and laughter! Full signing throughout the weekend! If you are interested, please contact Susie Ovens at: susie.ovens@aut.ac.nz or 021 878743 by Monday 10th March. The registration form is attached and please fill it out then email to Susie. Please note: You will need to organise your own transport to and from Sandspit (off Warkworth). The ferry will leave Sandspit on 5:00pm Friday and returns at 3:00pm on Sunday. Carpool could be organised. Please support our AUT Sign Language Section students! 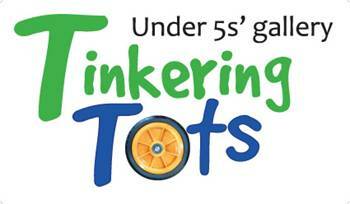 There will be a special project next term at Spark that runs on Monday afternoons for 8 weeks. Deaf Art Therapist Rachel Coppage (MA) will co-facilitate the mixed group of Deaf and hearing participants. Please find attached flyer for your information and if you're interested to register, please contact Donna Jaser at Spark. If you have any questions, please do not hesitate to contact Rachel by text 021 0263 3932. Bring your Picnic lunch, chairs and umbrellas etc. Fun day with games for everyone. Julie-Anne Taylor from the Auckland Deaf Society is looking for more volunteers to help organise the picnic. If you are interested contact her by email at events@auckland-deaf.org.nz or fax 09 630 6934. This meeting is to explore the possibility of changing our trading name (Auckland Deaf Society Inc). Why should we? Come along and discuss! All welcome. We will celebrate St Patrick’s Day, and the theme will be for everyone to dress up, or wear a hat, or anything else. Special guest speaker will have a presentation at 11am to discuss about the future of Deaf rest home/retirement village. Please be there to find out more information and there will be a survey for each member’s feedback. After lunch we will play Bingo. The canteen will sell toasted sandwiches and fresh sandwiches. Look at all of these wonderful things you can do this month of March. See MOTAT's website for more information. Some cars are famous and others have famous drivers. New exhibition Stars & Cars goes beyond the vehicles to highlight the famous Kiwis that drove them. From Richard Pearse's bike to the Tool Guys' van, discover stories of celebrated Kiwi icons and their motors. MOTAT's exciting new Under 5's Gallery has been designed specially to meet the needs of our youngest visitors and their families. Children will use simple machines such as pulleys, ramps, diggers and wheelbarrows in an imaginative play environment or they can relax and play with the building blocks, tube telephones and transport inspired floor activities. The centre piece of the gallery is the large Grain Pit machine that encourages collaborative play between children as they work together to turn the levers and handles, operating the screws, conveyor belts and chutes bringing the machine to life. How to send notices to Deaf people by fax, text, email, community notices? Everybody happy about change of nights for meetings? Friday night is only available at CCS? Copies of the minutes of last (third) meeting held on 18th November 2013 will be given out at the meeting. Anyone wants to talk please tell Sue Bruce. Thank you! The Insight Endometriosis Purple Walk for Awareness supports endometriosis awareness. 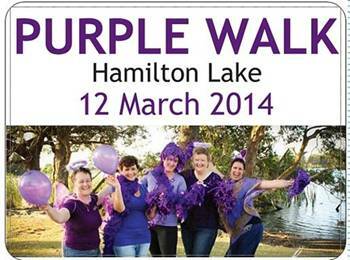 Dress up in purple and walk around the Hamilton Lake walkway starting from Innes Common. The walk is approximately 45 minutes, on road. There is a Zumba warm-up at 5:30pm and the walk starts at 5:45pm. After the walk gather together at Lake Domain Reserve for a rest, goody bag distribution and announcements of spot prizes and raffles. Please bring cash for sausage sizzle and raffle. Join in, have some fun and support a great cause. Open to everyone 13 years and older. Bring the children and dogs to join in the dress-up fun! Online Registrations now open! Go to www.purplewalk.co.nz. For more information contact Annette on 022 585 5123 or visit their website. Italians are known for their fantastic food of all kinds from pasta and pizza to delicious gelato, and with a variety of food stalls on offer at the festival, signature Italian dishes are sure to be on a staple. Whether attending for the food, music or just the atmosphere – the Hamilton Italian Festival is sure to be a great family event. Discover some not-so-dull moments from Hamilton’s history in these intelligent, yet informal gallery talks. We’ll delve into little-known stories of our city’s people, buildings and landmarks that made Hamilton what it is today while we explore the exhibition Never a Dull Moment! Hamilton Stories. Please watch the video under National news. It will be good to have you attending the focus group with the Community Relations Officer to plan for Bay of Plenty. Anyone is welcome! Anyone in Rotorua/Whakatane who are keen to be involved, I will make a plan to go over and meet you there. Let Sue Lessing know as soon as possible. You can email sue.lessing@deaf.org.nz or text 021 920 675. Information will be sent to you soon. Please put in your diary: Thursday 3rd April from 6:00pm to 9:00pm. Does your medical centre (such as doctors, dentists, optometrists, physio, audiologists, etc) or businesses (such as banks, WINZ, ACC, etc) need a free 45 minute NZSL Taster Class? Let Sue Lessing know. Visit their website for more information. There will be door ticket sales. This is an ocean swim for everyone to enjoy from experienced swimmers or learners. There are four categories starting with 2.6km for experienced swimmers to beginners and children categories. Or you can just watch! See their website for more information. There is a swim course map for each category. If you want to join in, you will need to register on their website. Perhaps you would like to do it next year! This summer has seen so many beautiful huge cruises arriving at Tauranga harbour bringing thousands of tourists from all over the world. The cruises arrive almost daily early in the morning and leave at night. It's a lovely outing for the family to have a picnic at Pilots Bay and to watch the cruise leave the harbour late in the afternoon with the beautiful sunset. Check the Ports of Tauranga website for all the times of arrival and departures. Get Up Festival will be Taranaki’s first major street art festival featuring live painting in the city CBD and surrounding suburbs. The festival will host a diverse and colourful range of street artists from all over New Zealand. Forty artists will paint large scale murals on over 30 walls both temporary and permanent. For more information go to www.facebook.com/NPGetupfestival. The cycling festival is based at the Taranaki Cycle Park and this year includes the 100km Surf Highway 45 Flyer from Hawera to New Plymouth, the 30km Mangamahoe Munter MTB race, a zero to hero BMX introductory event, criterion and velodrome racing, a categorised bike expo, bike swap-meet, scooter racing, a Guinness World Record attempt, a cycle powered movie and heaps more. Visit www.nzcyclefest.co.nz for more information. The game offers 22 sports. They are centered in Stratford with various events scattered throughout the region. See their website for a full list of sports available, timetable and registration form. Bee Forum: "If We Die, You Go With Us"
Honey bees all around the world are dying in unprecedented numbers. This has dire consequences when 85 per cent of our food crops are reliant on bee pollination. Amateur beekeepers are vital in helping turn this around. Come and hear enthusiastic local beekeepers, Ray Scott, Donna Willard-Moore, Charl van der Heever and Adrian King sharing their experiences, their knowledge and the issues involved in contemporary New Zealand beekeeping. Sponsored by the New Plymouth Green Party and Taranaki Sustainable Living Fair. Angela can also provide a presentation about almost any legal topic that the Deaf community would like to know about. Email your local Community Relations Officer which courses you are interested in. When you make an appointment with Work and Income staff, please ask them to make an VRI booking. They need to book the VRI before you go to your appointment. We have had two positive feedbacks from Deaf community, one in Napier and one in Hastings. 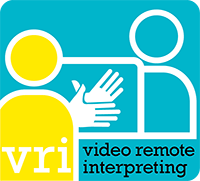 Both of them said that the VRI is great, comfortable, smooth and very easy to use. If you want a pamphlet, you can pick one up from Deaf Aotearoa office, Hawkes Bay Deaf Club or ask Lee Bullivant to email or post a copy to you. 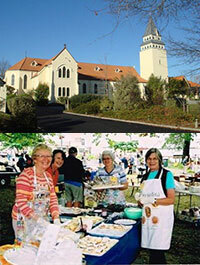 St Luke's Havelock North Annual Fair is better than ever this year! With family fun, raffles, book stall, sewing and knitting, home baking and preserves and many other stalls, including crockery smashing, monster auction and a children's corner. Every year Lindisfarne College put on a big gala to raise money for the school. They will have many things from foods through to household items. Come along and join the fun, you never know you might buy something there. This is an opportunity to learn more about Maori culture, history, rules, values, beliefs and more. Anthony Gilbert, a Maori hearing person will be giving the Deaf community a chance to learn more about Maori. A New Zealand Sign Language interpreter will be there. This session we will focus on: bone carving, greenstone (who can buy them, what to do with the greenstone before giving to someone, can you swap or pass onto someone else, etc) wood carving, protocols, tapu, blessings, moa, tika, pono, mana, manaakitanga, aroha, and taha wairua, plus more. Deaf Aotearoa will be having a stall at this May Day event in Wanganui, we are seeking volunteers to assist staff with manning the stall and providing assistance when required. This is a free event, all welcome! There will be a sausage sizzle ($1.00), face painting, inflatables and fun for the whole family. This is their 23rd year! Every year it grows more popular! There will be a main stage presenting entertainment and bands! There will be many stalls and entertainment! Hurricanes Vs Brumbies – TONIGHT! The Hurricanes welcome the Brumbies in round 4 of the 2014 Super Rugby season at Westpac Stadium in Wellington. To buy tickets phone 0800 842 538 or visit Ticketek. For all your game, ticketing information, and be up-to-date with the Hurricanes visit www.hurricanes.co.nz. During the weekend over 30 adult teams and more than 40 schools from all over New Zealand and Australia will race to determine the champions. With social and championship grades many of the teams will walk away with medals, trophies and prizes. The atmosphere will be white hot with over 10,000 spectators cheering on the pumped up competitors. The determination to make the festival a free event for spectators continues and as well as the competition on the water there will be stalls and entertainment to keep the crowd happy on land. Visit their website for further detail: www.dragonboat.org.nz. Every Thursday throughout summer outdoors on the waterfront. From midday til sunset, enjoy street food stalls, designer goods, live entertainment and outdoor bars. Outside Mac's Brewbar. Odlins Plaza and Taranaki Wharf. Visit their website for further information: www.undergroundmarket.co.nz. Art, craft and garden stalls, Victorian perfume studio, Stichbury fashion boutique and a summer cafe with amazing views! See their website for more information or for further dates until May. Thank you to all those that came along to the Deaf family picnic day, it was a great success. Special thanks to Rachel who organised the event. Come along and meet the Nelson Deaf community and practice your NZSL skills. All people are most welcome. Rachel will be 30 and would like to invite everyone to celebrate her 30th birthday dinner. Please let Rachel know by the 2nd March if you are interested to come. A great fun filled day for all the family. Join the local daredevils of Nelson race down Collingwood Street in their uniquely designed trolleys or bring the whole family to watch the antics. Challenge your school mates or get a team together to build and race a trolley on Derby Day. A great day out offering food, drinks, prizes, games, activities and rides that will entertain the whole family. This year we are proud to re-run the insanely funny Mascot Race. Other fun activities include a 30m downhill water-slide, obstacle course, plate smashing, mini hot rods, ferris wheel, water walkers, chair-o-plane, horizontal bungee, dunking chair, coconut shy, hoopla, tombola, blast bouncy castles and the lucky prize wheel. Stalls include wacky hair, face painting, raffles, toys, clothing, books, white elephant, cakes and sweets, craft, plants and seedlings, and the great art and leisure silent auction. The silent auction closes at 1:30pm. All auction viewing is from 11:00am in the school library. Food on offer includes BBQ, hot chips, nachos, hot ham sandwiches, nachos, butter chicken, cakes and sweets, desserts, sandwiches, candy floss and Pomeroy's Coffee, and much much more. Don't miss this fantastic day - it is definitely one for the calendar! This course is run by Rona Sedman and a male-padded instructor from Kidpower Teenpower Fullpower Trust. Ring 03 546 7986 or email nnwomenscentre@ts.co.nz to book your place. In the face of too-frequent attacks on women, Fullpower offers this low-cost workshop for women of all ages. Please let me know if you are interested to attend this morning self defence class, an interpreter can be available. Nelson Deaf Incorporated Would like to invite you to the Nelson Deaf Annual General Meeting. Everyone is welcome including learners and experienced knitters. Please bring your knitting needles and wool. Christchurch City Council have an exchange programme for two disabled youth members and their support person to attend our sister city in Kurashiki, Japan for 10 days to explore their city and have an experience of a different culture. If you need more information, please see the flyer on the right. If you are interested, you can download an application form. The deadline is 26th March. If you would need support with the application form, please contact your local CRO, Victoria Walters. The Street Party is to bring Christchurch back to Sumner for a day of excellent music and entertainment with large market areas, kids zones and local food and beverages. A day for all ages so head on out to Sumner! Get your genius on! Measure your perception! 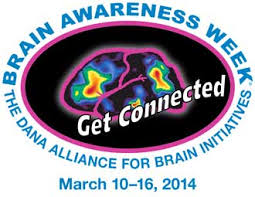 Walk through the mega-inflatable brain! Join us for a cerebral carnival – a family fun day filled with brain-related games and activities, talks and information from our local experts from the University of Otago Brain Health Research Centre. 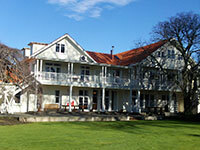 Deaf Aotearoa Office will be closed 12th March as Fi and Michelle are going to Invercargill to meet with Rebecca. Become inspired by the latest designs, colours, styles and fashions. Consult the leading renovation and design experts for advice on cutting-edge national and international trends. RSVP for the focus group is due today, Friday 7th March. Please get involved and have you say. Once the numbers are confirmed we will have a focus group to brainstorm ideas for NZSL Week. Food and drinks will be supplied. Please if anyone is interested in presenting any 45min taster classes during NZSL Week please get in contact with Rebecca. Full training will be provided at the end of the month. Please RSVP as soon as possible because forms will need to be filled out. Copyright © 2014 Deaf Aotearoa, All rights reserved.